Your online mall for Gift Cards. 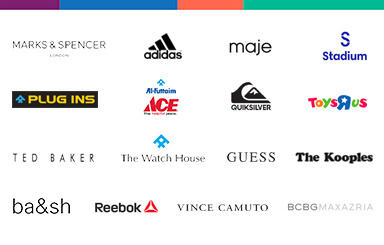 Try a new brand or location keyword OR choose one of the following eGift Cards. Personalized gift vouchers delivered online & redeemable at popular Dubai and UAE stores. YouGotaGift.com is your one-stop shop for celebrating friends and occasions. You can now send prepaid eGift Cards from anywhere in the world to friends and family living in the UAE, Lebanon, Saudi, Bahrain and Qatar. Did you ever think that you could shop for gifts in under 3 minutes and from the comfort of your own home? At a bus stop? While out and about practically anywhere? Well, now you can! Send gifts to Dubai, Abu Dhabi and other cities in the UAE or even across MENA with our easy digital platform that offers a choice of 90+ popular brands, making it easier for your loved one to pick the gift they really want. The best part is that it can all be done in 3 simple steps and in the shortest possible time. 1. 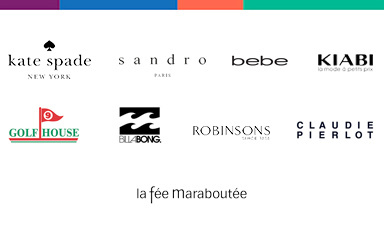 Choose one of the brands listed on our website and add the desired amount to be gifted. 2. 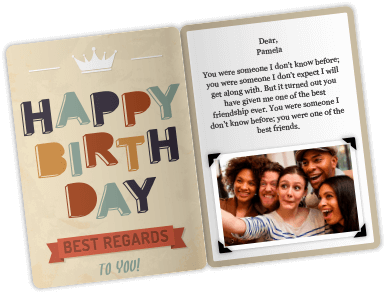 Make your gift personalized by selecting a greeting card for either a friend or for your company’s employees, by writing up message or by complementing it with a photo or a video to make the lucky receiver smile. 3. Finally, decide how you want to send the eGift Card (SMS, email or by print) and when you would like it to be delivered, either instantly or at a later date of your choice. Online Gifts Dubai - Why YouGotaGift.com? o	Choice: Yougotagift.com offers the luxury of choice with a variety of Dubai gift options across many categories including malls, fashion, wellness, thrilling experiences and more. Our gift options fit all personality traits: the foodies, the adventure seekers, the fashion enthusiasts as well as the tech-savvy. You are bound to find the perfect gift for your friends and family right here! Now you have got 95+ popular brands to send online gifts in Dubai, UAE. o	UAE wide: Let’s not forget our wide collection of Abu Dhabi gift vouchers offering experiences and products straight out of the capital, ranging from adventures at the Yas Marina Circuit to top quality gadgets from Virgin Megastore or Plug Ins. o	Personalized Gifts: Dubai-based or Abu Dhabi-based bundles can be given a unique individual touch following your exact requirements. Online gifting will never be the same as you can personalize your online gift certificate with a video, audio, photo or a message and instantly deliver it by email, by SMS and even print it at home. o	On-The-Go: Gift from the comfort of your home or on-the-go by downloading and using the YouGotaGift.com app, available for Android and iOS users. o	Occasions galore: Send your gift cards to those you love for all kinds of occasions. From birthdays to newborn baby celebrations and wedding gifts, we’ve got you covered for any event or special celebration you may have. o	Corporate gifts: if you’re looking for ways to reward a job well done or to host in-company celebrations like farewells or birthdays, yougotagift.com has got all the solutions! 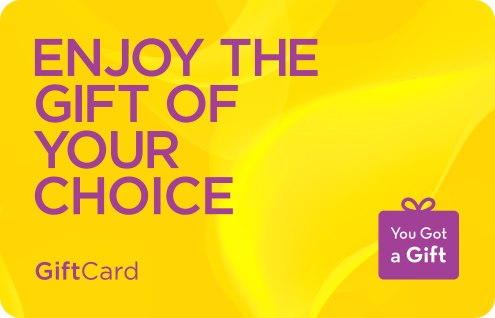 With the Al-Futtaim Retail eGift Card you can now give your loved ones the gift of choice! Whether it is a birthday, anniversary, wedding, Eid, Diwali, Christmas or any special occasion at all – the eGift Card gives you access to absolutely anything you adore across our top brands. Get the latest off the runway from Robinsons and GUESS, let your children pick up their dream toy from Toys “R” Us, give your home a complete makeover by Al-Futtaim ACE, make your anniversary even more precious with Al-Futtaim Jewellery, fill your home with the festive smell of mince pies from Marks & Spencer. And you won’t have to plan a weekend trip for it either! Our wide network of stores are spread across every popular mall in the country keeping it easy for your loved one to shop! Make every moment special. Gift an Al-Futtaim Retail eGift Card, gift a million opportunities. Valid for 12 months from purchase date. This eGift Card is Valid for one year (12 Months) from the date of issue. 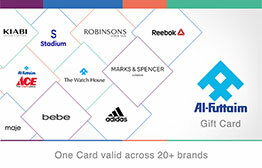 This Al-Futtaim Retail eGift card is only valid within the listed brands in UAE. This eGift Card cannot be exchanged for cash. All Al-Futtaim Retail eGift cards (bought either online or in the stores) are only redeemable in our physical stores. This eGfit card is not redeemable at IKEA stores. YouGotaGift.com does not accept cashbacks, refunds or returns. Really pleased to discover the site in order to send our Dubai-dwelling daughter a birthday gift. Really fast and efficient. She was delighted. Thank you. Gift cards is a great way to gift your loved ones with their choice of getting anything they desire for. I enjoy gift card a lot than a actual cash as a gift. Loving every bits of it. Dearest Nula, I know this is a little impersonal but I just love the company and think it's a wonderful way to give someone something. So here is your little something, to introduce you to Yougotagift. The website looks modern, fresh and descriptive. Information was transparent and easy to see the details of what i was purchasing. The gift was easy, versatile and safe to organise payment through my chosen method. The eCard could be delivered on the day and time that I specified. I love this service!! It was such a lovely surprise from my amazing friends! Very Happy and Thankful for the giftcard. Thumbs UP for your team! It was a great experience. hassle FREE. This was the first time that they saw this particular gift voucher but they made sure that I have a hassle free experience. Good service .. Cooperated sales ..
Nice , Easy , Simple. They were v helpful and had everything I needed. Sindy at NBar was great with my Mother and listened to her requests and was incredibly kind. The salon at Jumeirah Walk is clean and well designed. There is room for improvement on other angles but overall I was pleased because they made my Mother smile and that was all I wanted. ACE staff were so helpful, they printed the voucher for me. I really loved the place and clothes. Glad I could pick up something new in animal print.